All nickel metal hand pipe with a fat chamber in the middle. Best pipe I' ve had! This pipe is solid and easy to clean. I love how it doesn't tip over. The only pipe I need. Just what we needed. Glass pipes have a short lifespan at our house. This hefty metal pipe stands up to abuse. It feels good in the hand, has a decent capacity bowl and is easy to clean. Only complaint, outside of bowl gets very hot when in use. I'd love to see a metal pipe with a silicone covered bowl to avoid such discomfort. All in all, a good purchase. Sometimes, you need a break from a wooden pipe, or from a vape, and this does the job. It reminds me of one of the first metal pipes I bought 40+ years ago (yikes!). I keep it in my couch-side table for some quick hits and find I use it quite often. Sometimes, simple is best! holes need to be bigger for better hit quality! Pipe works great!! Looks clean and easily concealed in your hand or pocket. Couldn't be happier.. Thanks!! 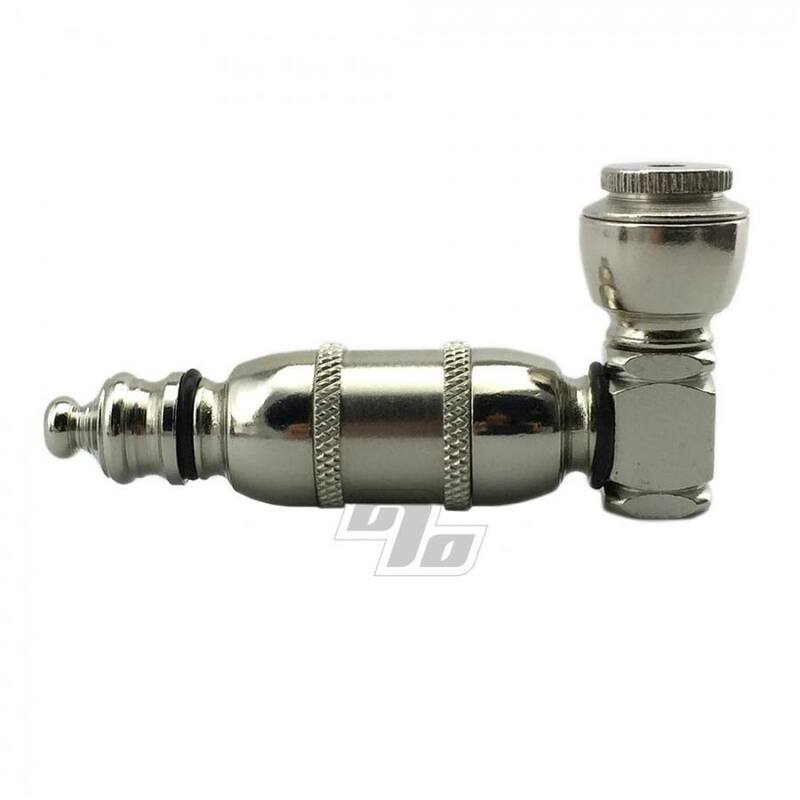 I like the big nickel pipe because its cheap, has good draw, works good, and has all of the handi pieces for classic metal pipes. I gave it 5 stars!